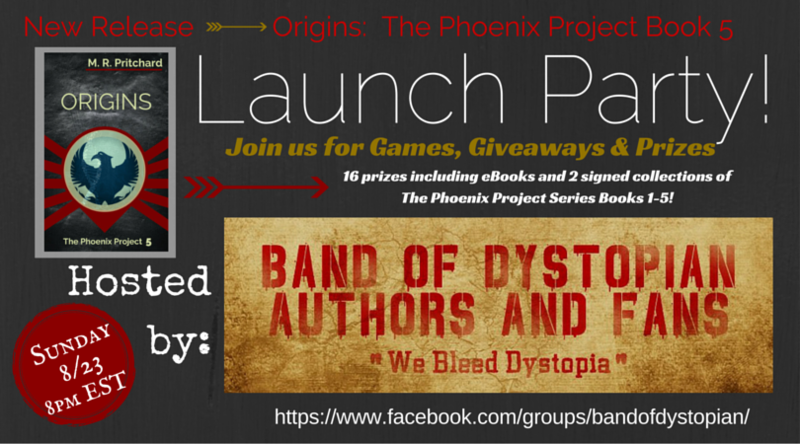 Join us for the launch party! This entry was posted in Uncategorized and tagged #amwriting, #Dystopianseries, #goodread, #Launchparty, #MRPritchard, #Newrelease, #Origins, #Scifiseries, #thephoenixproject. Bookmark the permalink.